Miami Switchgear is a provider of electrical control panels and start-up services for Miami-Dade County Water & Sewer Department (MDWASD). We are a UL 508A shop and aim to supply top quality control panels by providing superior design and enhanced functionalities. We offer indoor or outdoor panels, free standing or wall-mounted, NEMA 1 – NEMA 4X. The mounting panel and dead front door are fabricated of anodized aluminum for durability and corrosion-resistance. We can help support the operation of multiple electric pumps, capable of controlling the wet well level, through the utilization of various brands of main controllers, back-up controllers, pressure transducers, bubbler systems and floats switches. Services during critical moments is a must have in industrial operations. 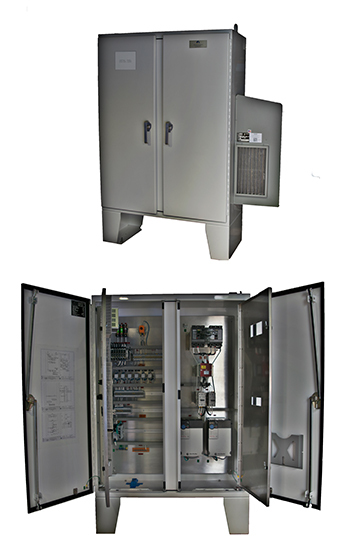 That is why all Miami Switchgear control panels are constructed with provisions for emergency power hook-up.